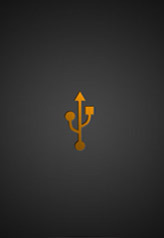 Home is the main screen that displays all of the menu icons. 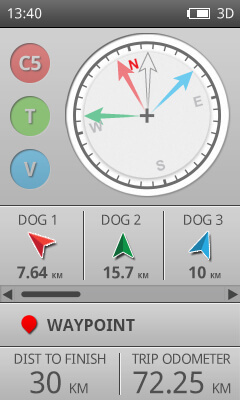 The Wheel navigates the Home Screen pages and Menu lists and adjusts the map scale on the Map Screen and Tracking Screen. On the Map Screen you can view a list and status of everything you're currently tracking, including you, your dogs, and any shared hunters or shared dogs. 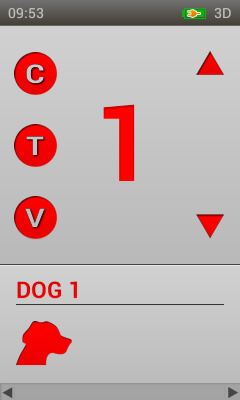 You can also use the primary training stimulation button for each dog. 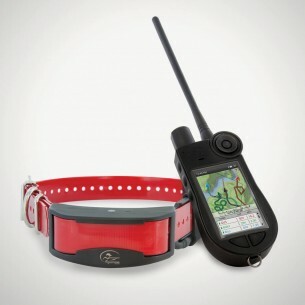 With the introduction of Bluetooth capability, dog handlers can receive real-time audible voice updates on their dogs' locations through a Bluetooth-compatible earpiece. Offers a full-screen view of any map data that has been loaded on the Handheld Device. 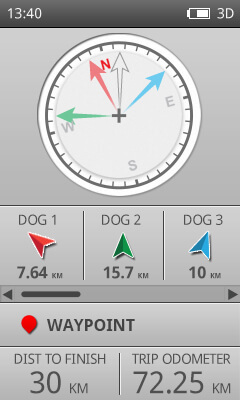 A GPS cursor displays your current location and additional GPS-related information. Use the Wheel to zoom in and out. Customise the map and GPS information from the Map Menu. Geofences let you specify a boundary. Use your Handheld Device to draw a shape on the map and identify it as the active Geofence. You'll be alerted any time a dog travels through the Geofence boundary based on the sound setting selected on the Settings Screen. 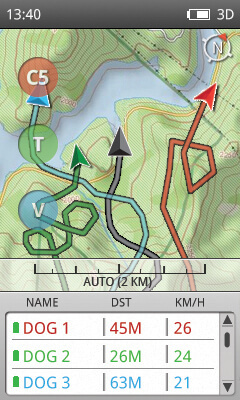 View your list of existing map Waypoints, create a route to a Waypoint, and see the Waypoint on the Map Screen. Select a Waypoint to read more details about it. 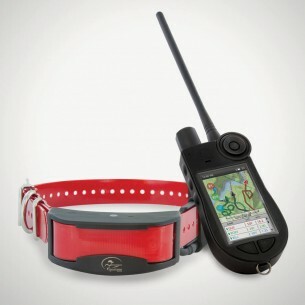 Download and install the SportDOG®Brand Companion Application software. Update the Handheld Device's firmware and map data to ensure you have the latest features. Frequency Hopping Spread Spectrum (FHSS) provides immunity to signal interference & allows for higher transmitter output power, resulting in superior range performance. Increased accuracy by capturing data from both satellite constellations.